The latest innovation in unique solutions to your storage needs! 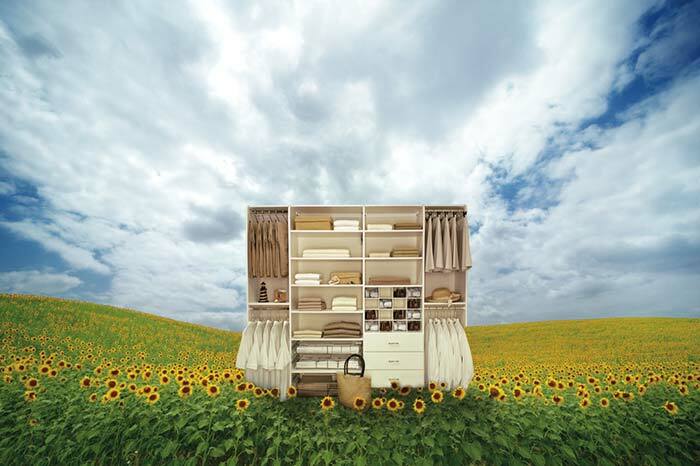 We are excited to announce that the 360 Organizer® by Lazy Lee is now available at Closet Works! The patent-pending 360 Organizer uses an innovative rotating device to allow for 360 degrees of easy and quiet rotation, while dramatically increasing storage space. Take a moment to think about the most cherished outfits you've worn in your lifetime. Chances are this is a surprisingly easy thing for you to do. But can you remember the energy and excitement that came with wearing those outfits for the first time? Can you remember that very first day in a hot, new outfit? These closet organization tips will help you keep your wardrobe in order so that that perfect outfit is always ready to go. This November, Closet Works is participating in the Lakeview pantry coat and food drive. With 495,000 Chicagoans suffering from food insecurity, the Lakeview pantry aims to end hunger in the Chicago area by distributing food six days per week to people in need. To get involved, drop off any canned goods or coats to the Closet Works showroom located at 2000 N. Clybourn Ave, Chicago, IL 60614. Please make sure to stop by with your donations before November 30, 2014. Thank you! Looking to Reinvent Your Style This Fall? Fall is the near universal time of year to reassess your wardrobe and update it for the new fashion year. It is also the perfect time to reinvent your style before beginning a new school year, a new job, a new opportunity, etc. The process of de-cluttering your current closet collection of clothes and finding the perfect seasonal replacements can be challenging. 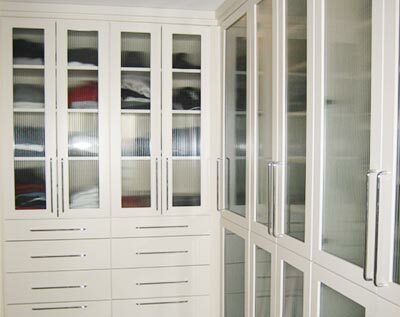 Some closets need minor maintenance and updates while others need to be entirely reinvented with a custom closet solution. This depends on the amount of room in your closet and whether or not you are satisfied with your current style. Check out these closet organization tips to get started. 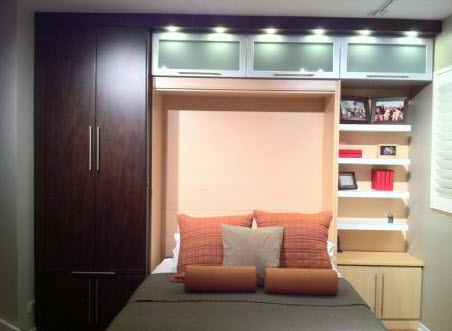 Have you ever wanted to make more efficient use out of the space in your spare room/guest room? 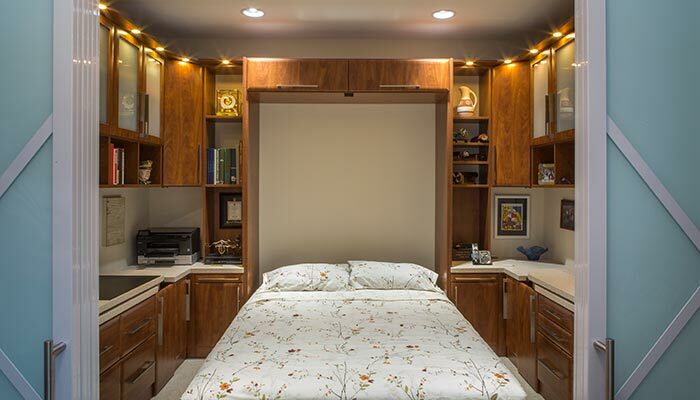 If so, then a hidden wall bed / Murphy bed is the solution you've been looking for. 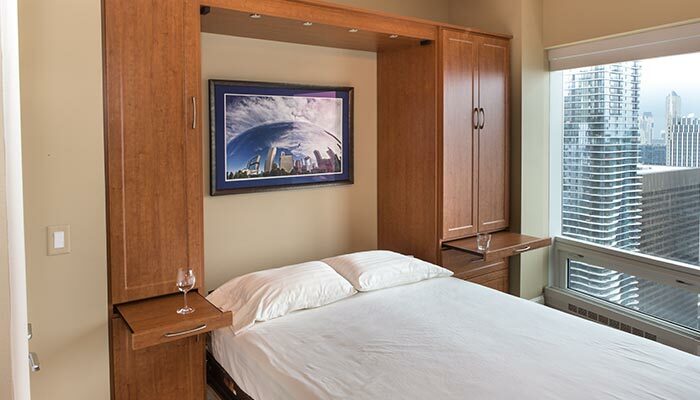 Whether you live in an apartment or a house a wall bed offers many advantages to a traditional bedroom set up. Back to school season can be both exciting and overwhelming! As the routines of summer come to a close you have to prepare yourself for the chaos that often comes with the first few weeks of the new school year. One of the biggest issues during a school-day morning is getting your kids dressed and ready for the day. 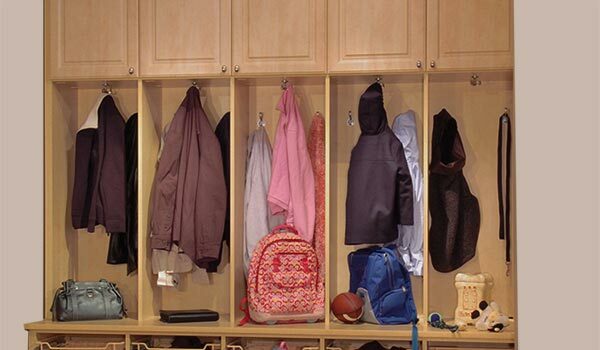 By investing time in organized closet storage and routine for your kids you can alleviate much of the morning stress that comes with the new school year. We recently discovered this wonderful closet organization infographic created by the good people at Apartment Geeks. The infographic presents ways to help people simplify their closet so that they can simplify their lives and hopefully save money! The image covers a lot of the organization tips and tricks to maximize your closet storage space like we've been discussing here at Closet Works. 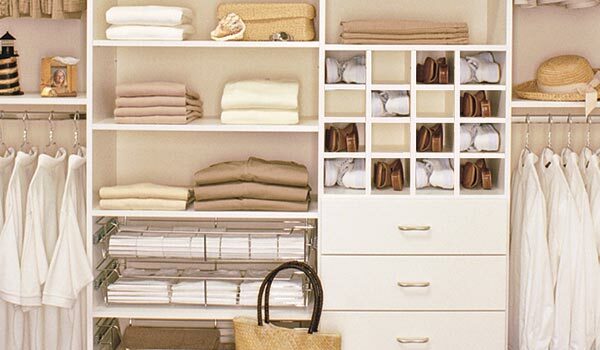 It does an excellent job of sharing these closet organization tips in a simple, memorable way. We are definitely going to keep this one close for our future cleaning and closet organization sessions! During this past winter we shared with you some of the heart-warming compliments we received from our customers. These wonderful compliments are hugely important to our closet designers and the entire Closet Works team. This motivates us to continue to give customers exceptional and memorable custom closet experiences. As we continue on into the late summer months we wanted to share with you some of the recent kind words we have received from people all over Chicagoland. Thank you for your continued support! As an interior designer my personal relationships with vendors is something that I truly cherish. I've recently had the pleasure of working with a Closet Works designer on a project and have since brought her on to all my current projects. She has gone above and beyond making sure all my client needs are met and has made me look like a rockstar. Recently I had a tiff with one tile showroom and the service experience was awful. Five minutes later I spoke with Closet Works and what they did blew me away. There was a slight mix up on an installation and they took care of everything for me. They told me it was no big deal because service is what they want to give me. I couldn't believe how wonderful this was when I just had such a bad experience with the tile showroom downtown. Needless to say Closet Works is my go to shop for all my future closets. The installation guy took care of everything that needed to be done and was also a pleasure to work with. If you're in need of a closet reworking, call Closet Works to help you out. 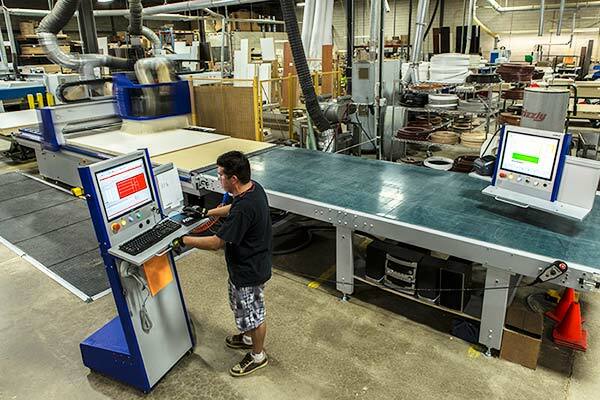 The pricing, service, product and installation are great! There is no need to go anywhere else. Thanks to Closet Works and their team for everything. Closet Works transformed my closets. We were combining houses and had to get everything into the closets at the smaller of the two. The Closet Works designer's design made effective use of all the space (we have very high ceilings). She did such a phenomenal job on the closets that when we were done, we had her build-in our office. She was with us every step of the way. She made sure our scheduling worked. And any time an installer was on the job, she came to check up on how it was going. No detail went unnoticed. Turned out that there was some stuff we wished we had done differently. Not to worry. The designer modified what we got to be what we now knew we wanted. She took back the stuff we didn't need and credited us for it. After it was all done, I needed help moving a shelf. The designer came over the same day and got it perfectly positioned. Some of my neighbors have been over to see what we had done and were just blown away at what she had accomplished. How to Stop the Clutter! There is nothing like the feeling of coming home after a long days work to be greeted by the clutter of yesterday. It's exhausting to have to clean and organize the same spaces in your home everyday. 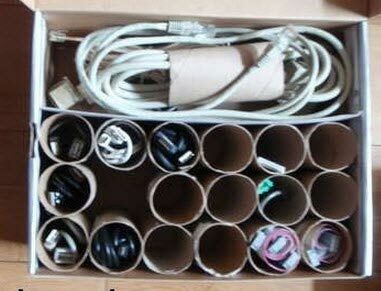 That's why the best solution is not just to clean and organize, but to keep the mess from reappearing. Of all the cluttered spaces in our homes, the most vulnerable to excess clutter are the entryway/mudroom and the closet spaces. 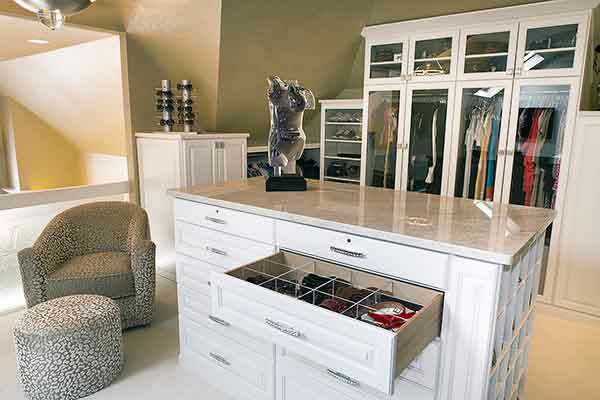 These home organization tips will alleviate the clutter build up in these two hot spot spaces in your home. 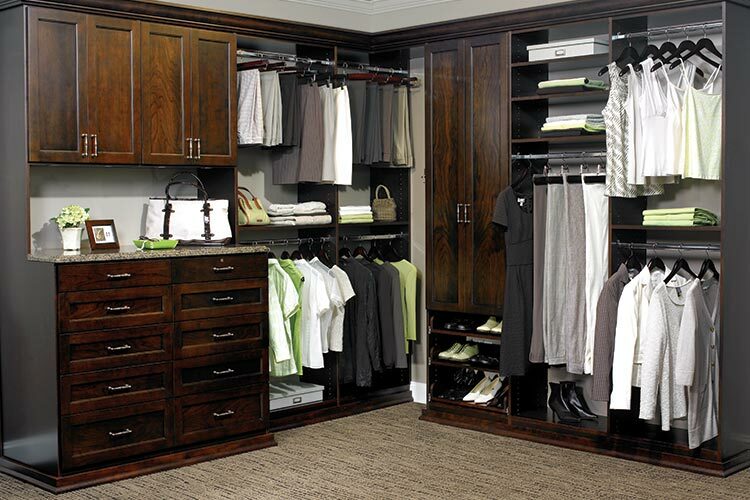 A big part of closet organization has to do with maintaining your wardrobe. A lot of the time this means getting rid of clothes in order to downsize and make room for new clothes. Well, what happens when you're short on cash and can't afford to buy a new outfit every month? Sometimes the best solution is to make your clothes last longer. With proper clothing care and closet storage you can really extend the life of your wardrobe and save money in the long run. 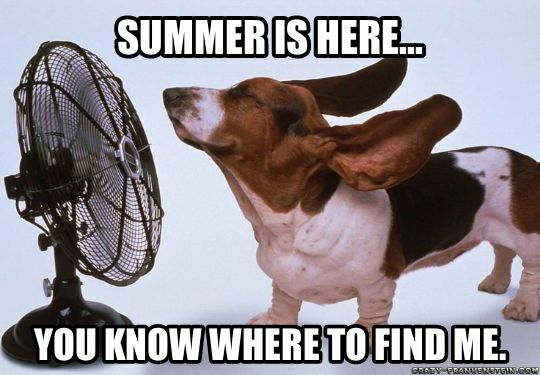 July is AC appreciation month. That means its time for an updated wardrobe to match the unbearably hot summer weather. 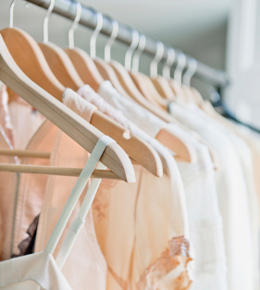 Whether you're trying to stay cool or trying to stay organized consider these wardrobe organizational tips to help you declutter your bedroom closet. Summer is here and that means only one thing: Outdoor parties with family and friends! 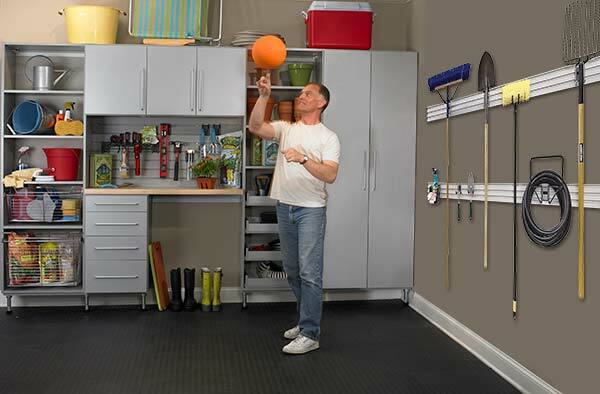 Many of you will be using your garage space to host guests. This is an excellent idea, as the garage is the perfect space for keeping you, your guests, and your refreshments cool and safe from the hot summer conditions. 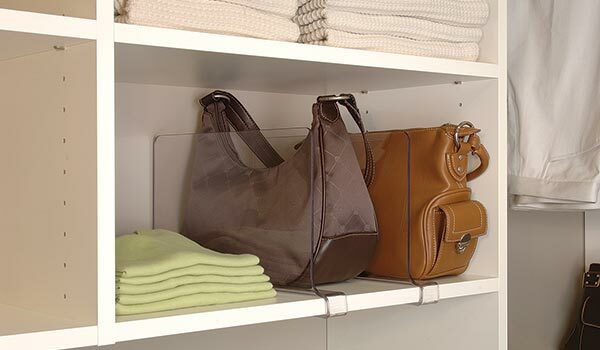 From belt-racks and jewelry boxes, your closet system will benefit from closet organizing accessories. Take a look at some of what we have to offer in our excellent selection of closet accessories. 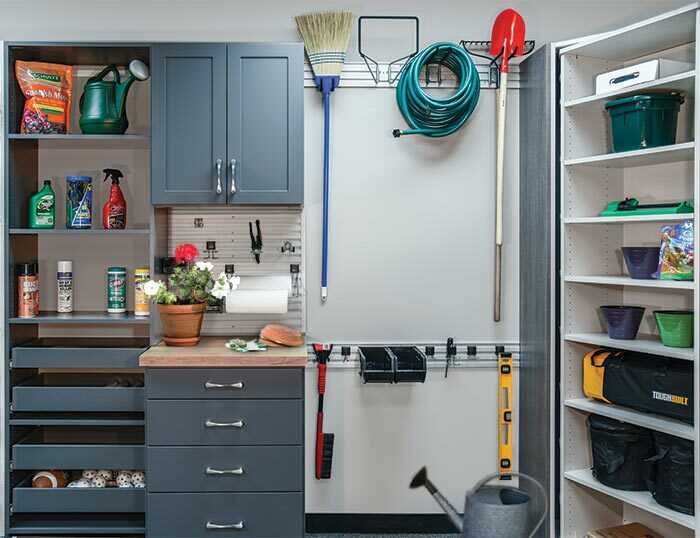 Organization is the key to home improvement this summer. 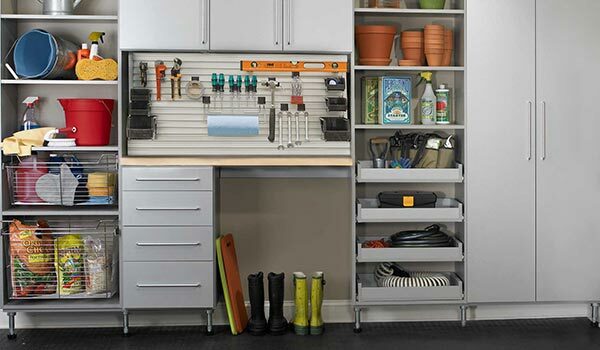 Whether you are improving an existing space or moving to a new space, home organization and storage is vital. Consider both the cost of clutter in your home, and more cost-effective ways to improve your living spaces. In the second part of our 3 part series, Organization Solutions, we take a close look at a completed Closet Works media center organization solution. In the first of our 3 part series, Organization Solutions, we take a close look at a completed Closet Works bedroom organization solution. 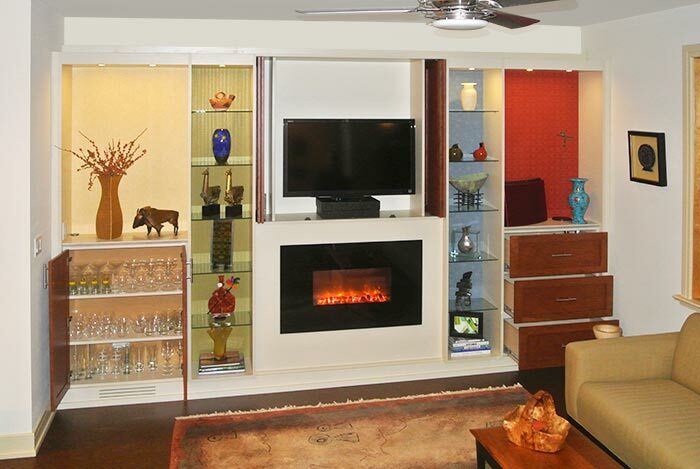 Sue's design was selected as the winner in the 2014 Top Shelf design awards for a home office over 150 Square Feet. Congratulations Sue! This closet space went from Fab to Fabulous! The customer had a current plain, no frills closet in this space overlooking her gorgeous master bath. People Are Saying the Nicest Things about Us! At Closet Works we love nothing more than giving our customers a memorable experience and an exceptional organizational system. That is why it motivates us, especially during these long, dragging winter months, to see such heartwarming compliments as the one Anthony has given us below. Our client is now in love with their bedroom/office multipurpose room! 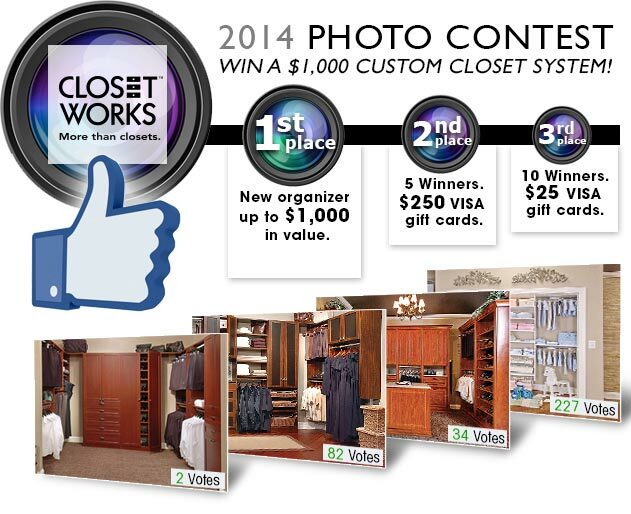 Enter Our Facebook Photo Contest and Win a $1,000 Custom Closet System from Closet Works! 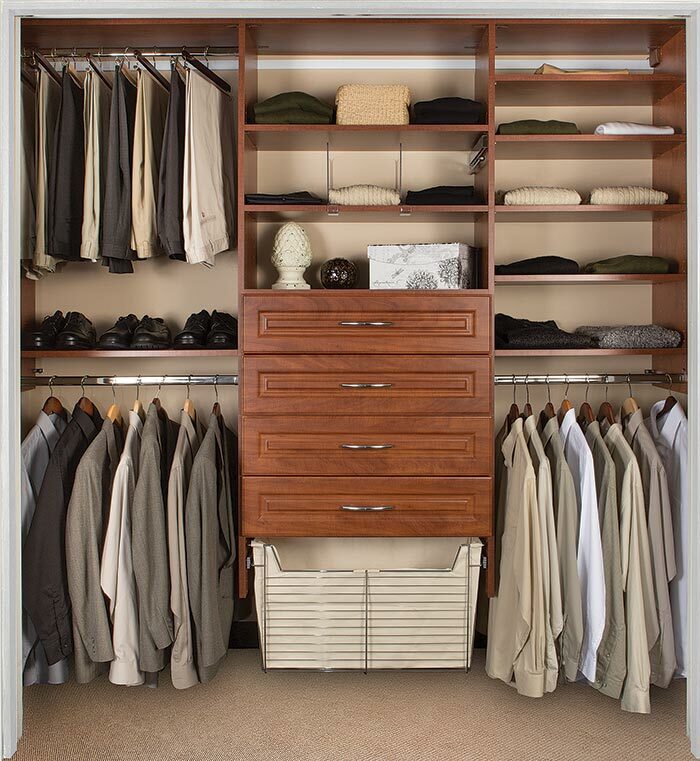 We would love to see a photo of your Closet Works organizational system! 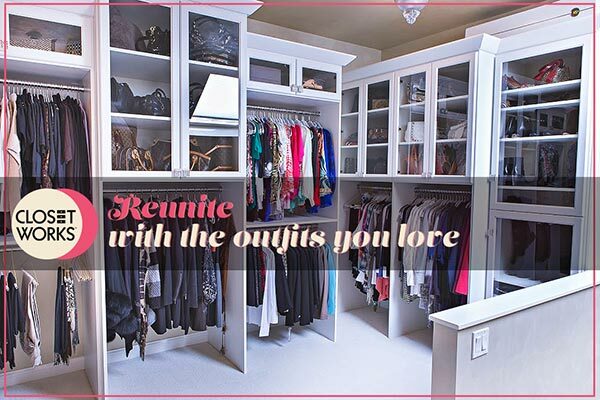 Starting now through March 31, 2014 share a photo of your Closet Works installation with us and be entered to win a $1,000 custom closet system! 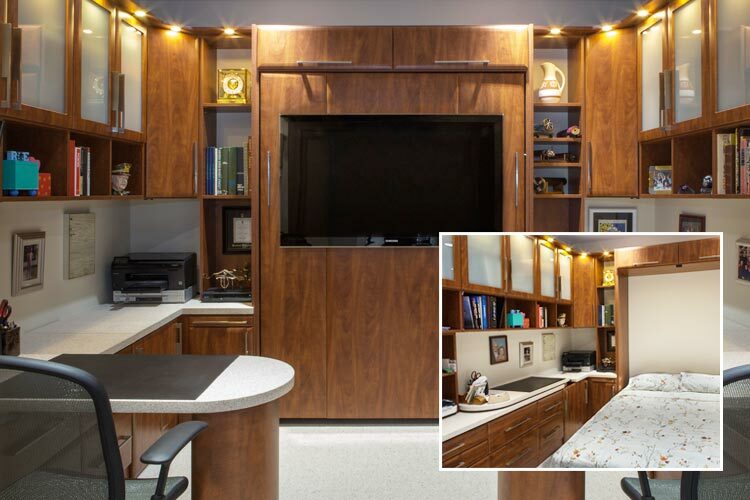 We recently helped a client with a custom project for their home office/guest room. This very creative client made unique requests that provided us with new and exciting design challenges. We knew that this would be a very custom wall bed/home office project for us. So, we enlisted two of our talented engineers to help make this project happen. 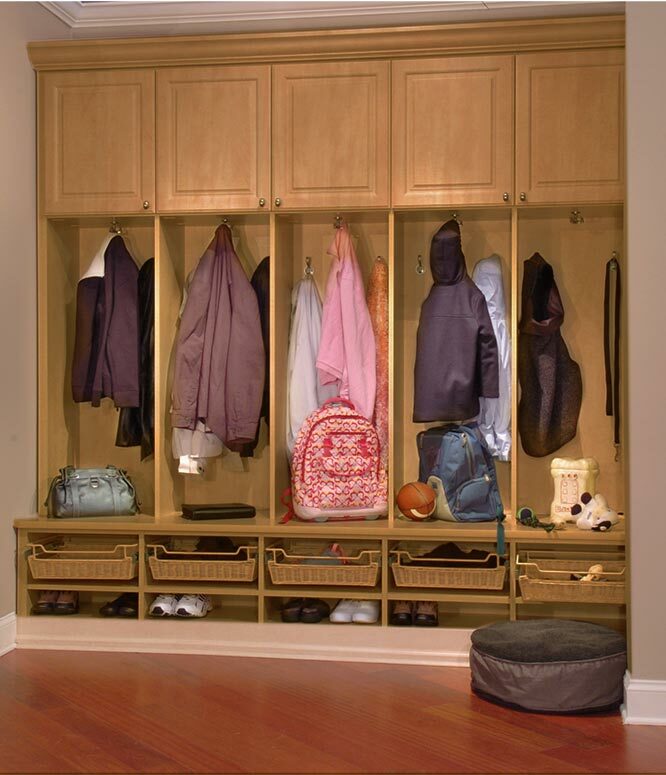 Mudroom Storage Tips for Get Organized Month! 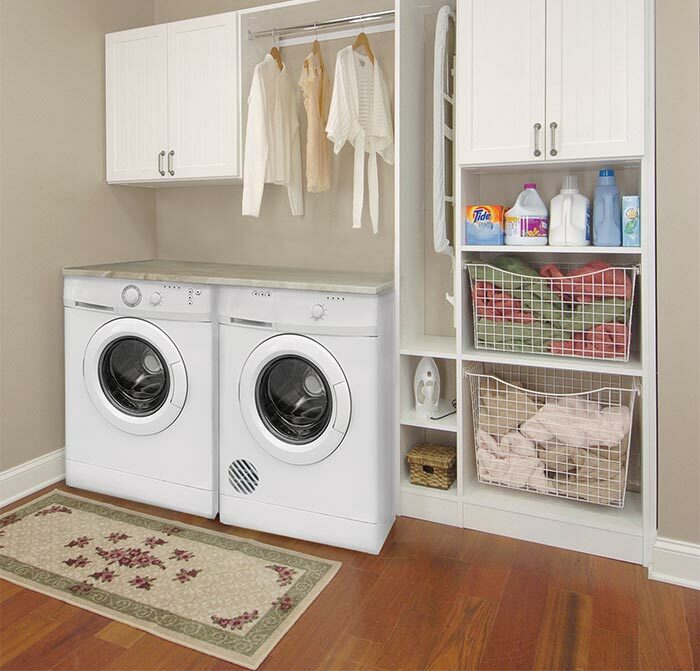 Small laundry rooms can make it tough for doing laundry. Cramped, narrow spaces mean you have very few places to set your essential laundry items, let alone the laundry itself. You might be forced to squeeze into a small laundry room that simply won't accommodate your needs. However, with a bit of creativity, you can maximize the space of a small laundry room and turn this oft-used room into a pleasant space. 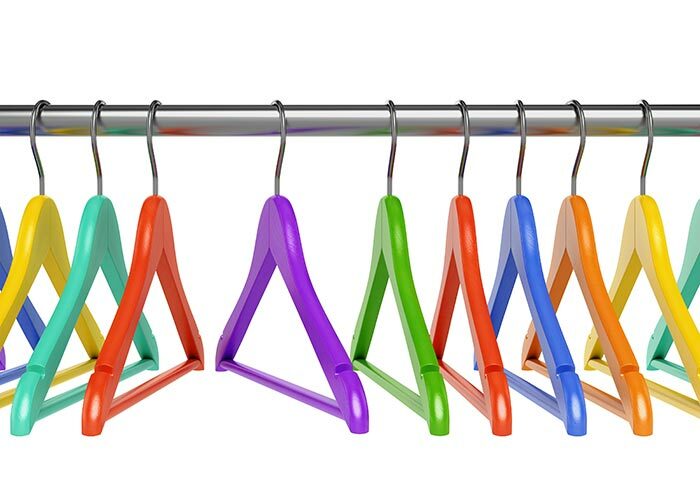 Professional closet organizers and designers know that one of the secrets of a great looking closet is matching hangers. Even all white plastic hangers make the closet look cohesive and organized. Using the proper hanger will often save space and be better for the garments. My favorite hanger is an open end slack hanger for pants folded in half. It saves space lengthwise and makes it easy to take the pants off and on the hanger. Hooks are one of the most accessible sources of storage and organization you can utilize. Having a quick, easy, open place to hang anything (inside or outside of your closets) from keys to coats really helps minimize piles and clutter. And getting in the habit of putting items on hooks is an easy one to develop and keep over the long term. 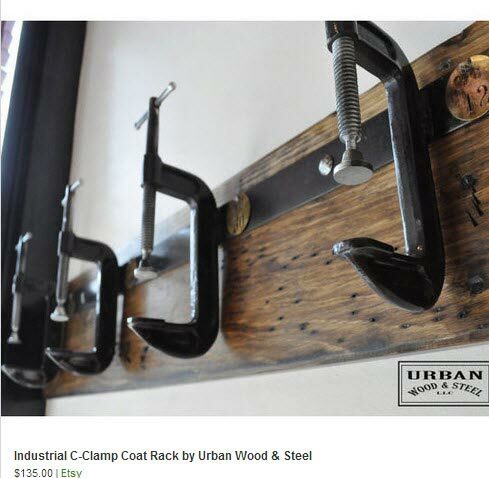 So why not incorporate some hooks with style that make you smile? (I know, it's a rhyme, but these cool hooks can do both — so take a look). 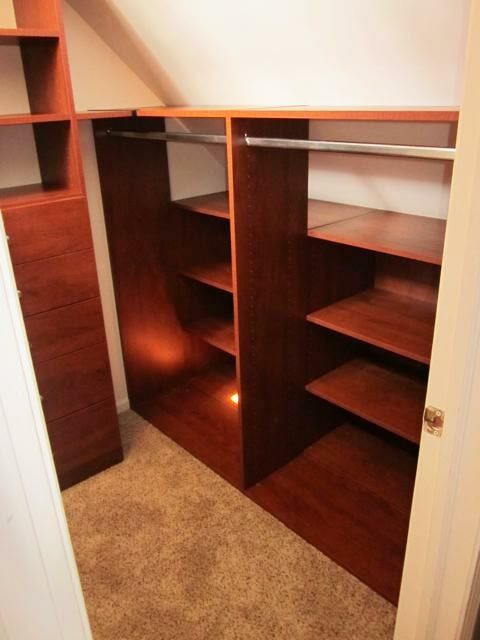 A Walk-In closet space is fun for any closet designer to design. It's also fun for any client to have as a place to call "home" for their wardrobe. And when the space is square or rectangle with a standard eight or nine foot ceiling and few or no obstacles — all the better. But angles make things more complicated because angles typically equal more difficult accessibility. Working in an urban setting where space is quite the commodity, most rooms do double duty in terms of function. And one of the most popular "double duty" purposes is putting in a wall bed so a room can be used as an office or den — but then accomodate guests when they visit. He's a single City dweller who combined two condos into one unit. The space connected the master bedroom to the bathroom — so everything needed to be behind closed doors. He didn't want anything out in the open — but hidden and out of sight. And that included not only hampers, but hanging. Whether you've decided to stay in your home and do a remodel or take the plunge and buy a home — odds are you'll be addressing storage issues. Almost every American home has them, and homeowners define them as very important, according to research conducted by the National Association of Home Builders, which indicates that two of the most important things to home buyers these days are "built-in cabinetry and cleverly hidden storage spaces." So, now that I'm all settled in our home, I'm finding neat things about the closet systems every day. Last week I learned that the closet doesn't have to stay the way it was originally installed. The beautiful thing about my new closet is the fact that I can customize it to my own specifications at any time. You've likely got all kinds of garments hanging in your closet — some you love — some that don't fit — some you wish would fit — some you spent way too much money on... And all of them wanting a place to hang out. One of the easiest ways to double your storage capacity in your closet design is to incorporate "double hang" into your closets. Double Hang is defined as having two rods that accommodate short hanging items (typically one at 40" and one at 80"). 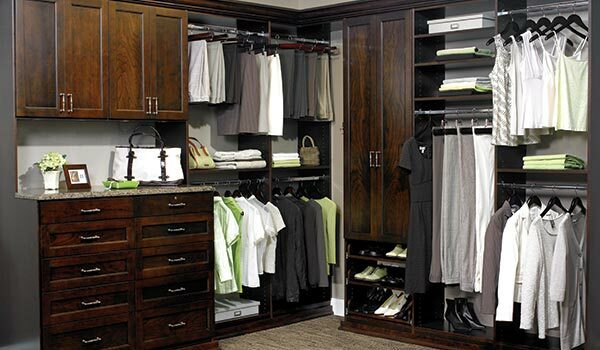 In this blog post, Closet Works, Chicago's premier closet organizer company, offers money saving tips on creating a custom closet, pantry, wall unit or other organization system. Not all hangers are created equal! And if you're still using wire hangers and keeping your clothing on the ones the dry cleaner gives you — then you've got huge room for improvement!